Canary Backer and Pre-Order Update — November 12 | Canary Blog. 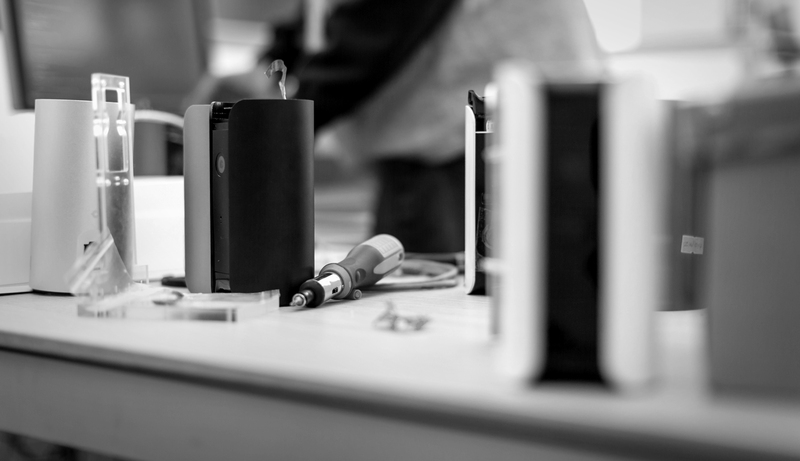 Our initial shipments over the past few weeks marked the very first production-level Canary devices being shipped out into the world. This is a huge milestone. Thanks again to those of you who are in this initial group and have been giving us feedback. We deliberately kept these shipments very small so that we could solicit feedback and monitor the stability of these units closely—we’ve been in direct contact with nearly everyone we’ve shipped to. The initial plan was that we would scale up the number being shipped out based on feedback from these first users confirming that everything met our standards. Our goal was that after getting several hundred out, we would be able to quickly ramp up to shipping thousands each week and get devices to all of you within an 8-week rollout. We learned over the past few weeks that even though the hardware is ready, it will be impossible for us to fully hit that schedule. Among the positive feedback, we’ve heard that the setup process is simple and exceeds expectations, the video picture quality is great, and that the app interface is intuitive (with a few tweaks that we’re working on). The feedback also identified a few issues that we must improve for the overall product quality to meet our high standards. Fortunately, nothing is hardware-related. The device continues to be manufactured and the product quality is outstanding, but there are still a few software improvements needed before we flip the switch to a full rollout. We have a clear understanding of what we need to do and we’ll be posting regular updates from now until we ship all units out. For now, testing will continue with those units we’ve shipped out and we will slowly expand that group to solicit more feedback as we fix remaining issues prior to a mass rollout. We’ll be sharing updated shipping plans as we have them. Getting the product in your hands is a high priority, but that product needs to be high enough quality to be deserving of your support, patience, and excitement. There have been so many of you who continue to send us amazing words of confidence and support—thank you for that. Our entire lives right now are dedicated to delivering on the promise we made to you, and it means a lot to read your words of support and anticipation. Much of what we are doing has never been done before, and we have the best team working on it—people with experience from Apple, Google, Motorola, IDEO, and more. We also know that some of you are feeling anxious that you haven’t received your unit yet. We understand. You put your faith and money behind us, and you want to receive a product. We will deliver on that promise. Even after you receive your Canary, we will continue to innovate and improve the product and the experience. We thank you for your patience and for sticking with us. Our commitment remains to ensure that the product we ship to you is not only good enough, but amazing and worthy of your anticipation. We’ll post another update next week!